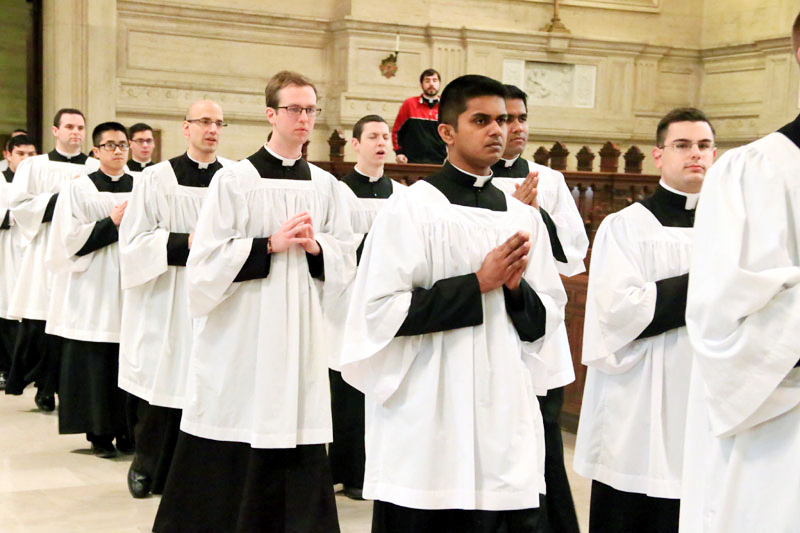 Fifteen seminarians of St. Charles Borromeo Seminary, including three for the Archdiocese of Philadelphia, were instituted into the ministry of lector April 25 at the seminary’s St. Martin’s Chapel in Wynnewood. 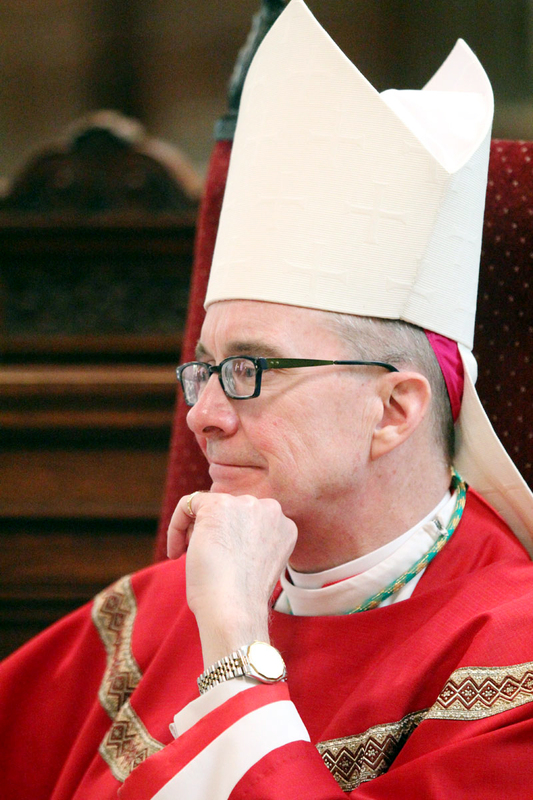 Bishop Paul S. Loverde of the Diocese of Arlington was the main celebrant for the Mass. Seminarians about to receive the ministry of lector process into St. Martin’s Chapel at the start of Mass. 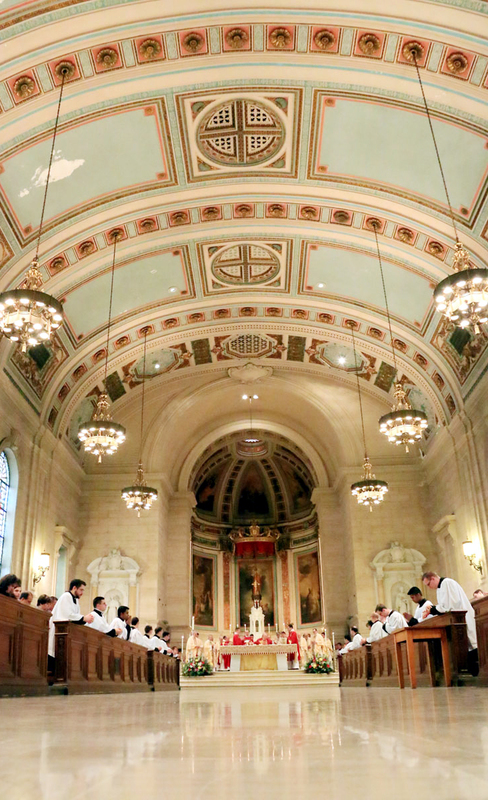 St. Martin’s Chapel at St. Charles Borromeo Seminary, Wynnewood. 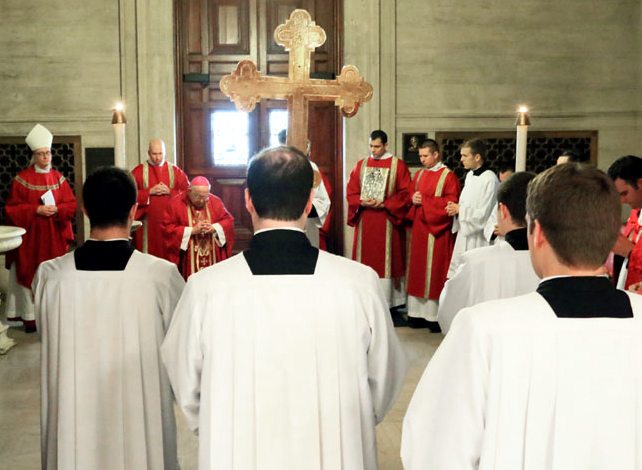 Bishop Timothy Senior, rector of St. Charles Seminary, observes the institution rite. 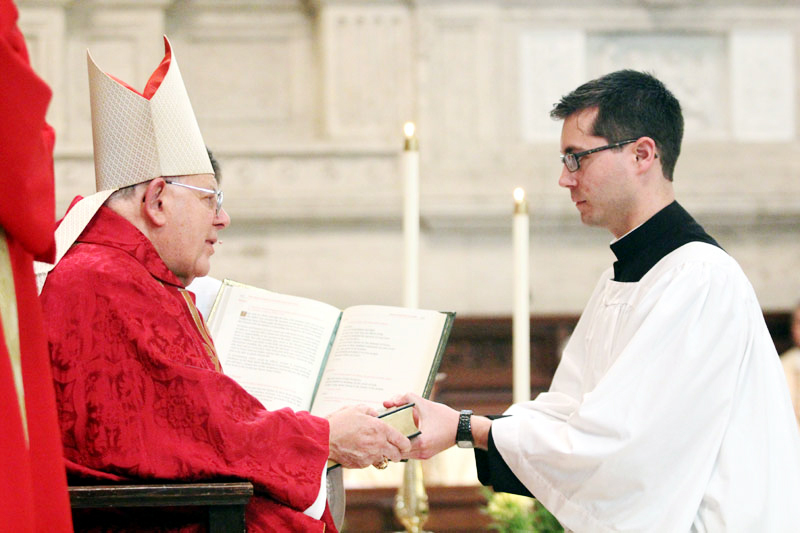 Kyle Adamczyk receives the ministry of lector from Bishop Paul Loverde. 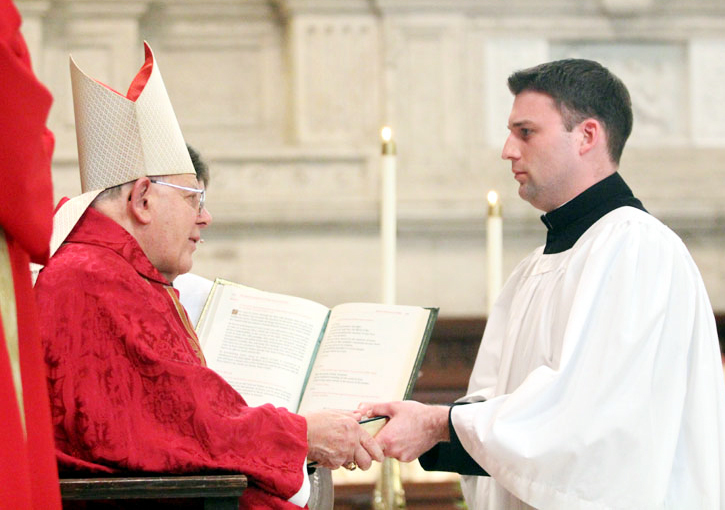 Eric Banecker is instituted into the ministry of lector. 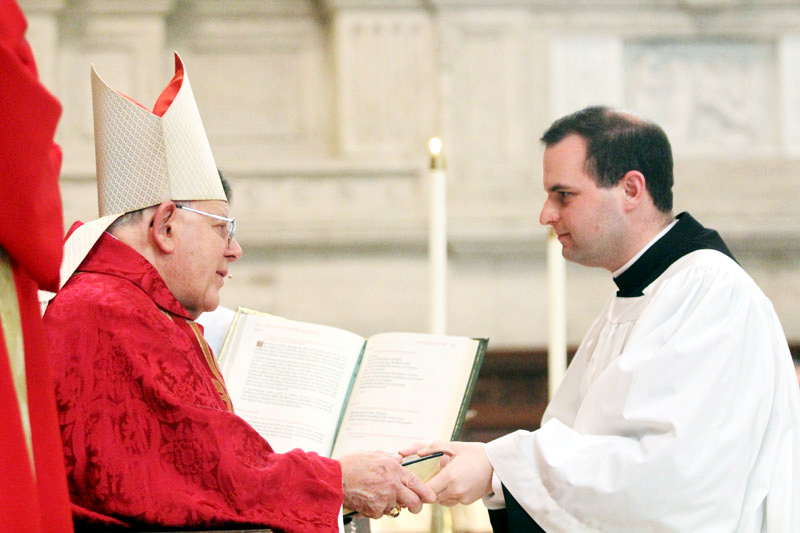 Austin Chukinas becomes a lector as he receives his ministry from Bishop Loverde. 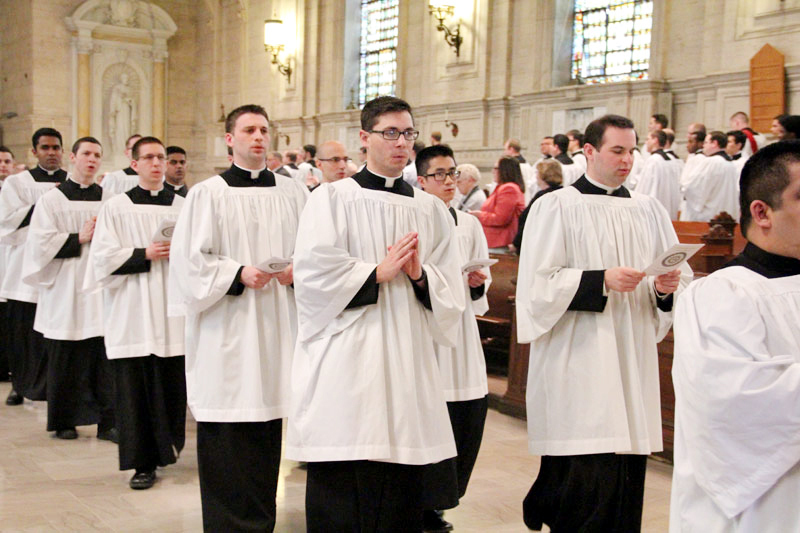 Kyle Adamczyk, Austin Chukinas, Eric Banecker and fellow seminarians from St. Charles sing the closing hymn of the Mass as they recess from the chapel. 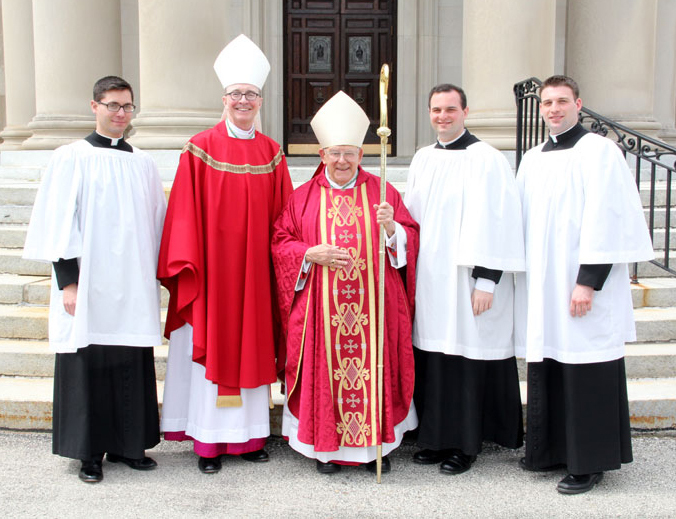 Posing for a photo after the Mass are (from left) Austin Chukinas, Bishop Timothy Senior, Bishop Paul Loverde, Eric Banecker and Kyle Adamczyk. The celebrants and liturgical ministers for the Mass pause for a prayer outside the sacristy of St. Martin’s Chapel before the start of Mass.